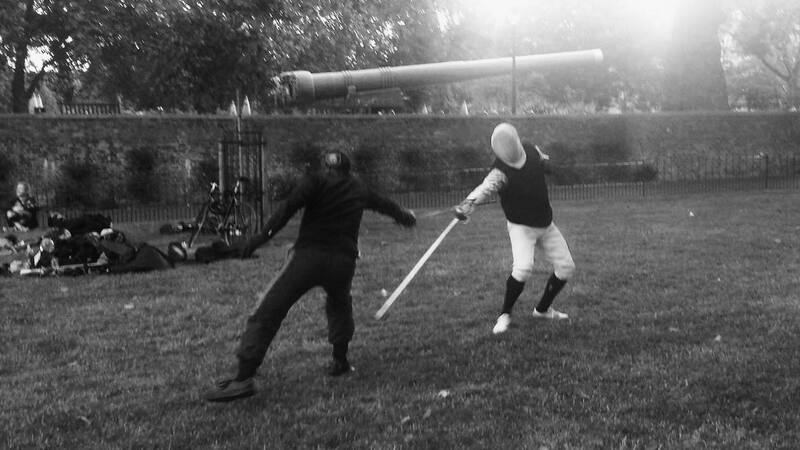 Welcome to the London Historical Fencing Club (LHFC). We are a historical European Martial Arts (HEMA) club based in central London, offering classes in Longsword, Rapier and Smallsword. Fighting with European style swords and other weapons was, until relatively recently, a lost art. Martial arts that were used extensively throughout medieval and renaissance Europe gradually died out over the centuries until they were nearly forgotten. In the last few decades, Historical European Martial Arts (HEMA) has begun to reconstruct these lost arts using historical texts that detail techniques and principles for using weapons, and training and applying these techniques in a non-cooperative or competitive context. LHFC is a non-profit member run club. We were set up with the goal of promoting HEMA through training, scholarship and competition and tournaments. We train using in a several different weapons and sword fighting styles. The historical sources which form the basis of our teaching range from the high medieval period (early 15th Century), through the renaissance and into the early modern sources (18th century). We welcome anyone from all walks of life, and every session we strive towards creating and maintaining a safe and inclusive environment where everyone should feel free to be themselves. We welcome people from all/no genders, races, ethnicities, body types, sexual orientations, and social backgrounds, and we will do our best to create an accessible environment for any disabled person (however please note that our current venue does not have wheel chair access). You also shouldn’t be concerned about your fitness level or prior martial arts background, as most exercises can be performed slowly or at speed depending on your comfort zone. So whether you are worried about time travel, the impending zombie apocalypse or just want to have a good time, come join us at one of our regular classes and learn to use a sword the way it was meant to be.